You've already locked down the right person. You said Yes and now it is time to find your perfect wedding dress. 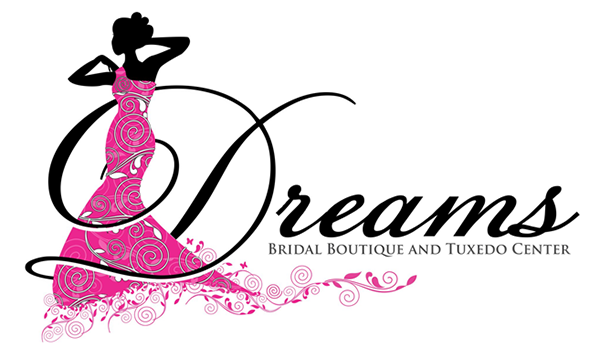 Visit Dreams Bridal Boutique and Tuxedo Center to look through our wedding dresses. We're dedicated to helping brides find the dress that makes them look regal and ravishing on their wedding day. Once you've picked your ideal dress, you can order it in any size you need. Make sure you plan ahead, because dresses can take five or six months to come in. If you need alterations made, let us know. When your dress arrives we have a seamstress available to make the perfect fit. Choose a dress made by designers like Martin Thornburg, Stella York, Enchanting, Allure Romance or Mix and Match Separates by Allure. Clothes crafted by well-known designers like these are available through our store at affordable prices. Come to the boutique today to take a look at our wedding dresses in Augusta, ME. Bring your friends and family to the dress shop to help you pick out your wedding dress. It's great to get feedback from people who know you well. Just remember that the most important opinion is your own. We have plenty of unique dresses for you to try on until you find the one that you love the most. Our team will talk to you about your wedding and your preferences. We'll show you different styles so you can try on a wide range of gowns and make an informed decision. While you try on dresses, your bridal party and support system can relax in the small sofas and chairs around our fitting area. Call 207-480-1446 now to schedule a wedding dress fitting at a dress shop in Augusta, ME.